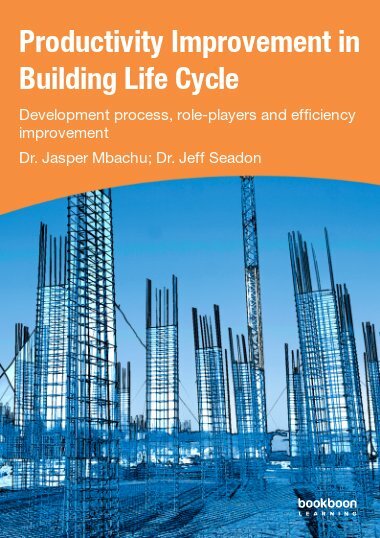 Dr Jasper is a senior lecturer and coordinator of the undergraduate and postgraduate programmes in construction in the School of Engineering and Advanced Technology, Massey University, Auckland, New Zealand. Jasper has over 17 years of university teaching experience in Nigeria, South Africa and New Zealand. He has over 14 years of construction experience as a quantity surveyor, contracts manager and project director for the development of many building and civil engineering projects. Jasper has published extensively in leading journals and has presented numerous research papers at international conferences. He has won numerous academic awards, including being a Fellow of the Education Trust of the Royal Institution of Chartered Surveyors, UK, in 2001. He currently serves on a number of boards. He is currently the Secretary and Treasurer of the Auckland Branch Board of the New Zealand Institute of Quantity Surveyors (NZIQS) and a member of the Northern Chapter Board of the New Zealand Institute of Building (NZIOB). He also participated actively as a member of the Sector Reference Group for the New Zealand Productivity Partnership Board. He is the convenor of the annual New Zealand Built Environment Research Symposia (NZBERS), which is a forum for bringing together the built environment practitioners and researchers to share ideas and collaborate in areas of mutual research interests and expertise.